Today, we have some bad news to pass along to those few remaining Windows 10 Mobile users who have been receiving updates via the Windows 10 Mobile Insider program. A tweet from Microsoft's Brandon LeBlanc indicates that no more insider builds of Windows 10 Mobile are coming. 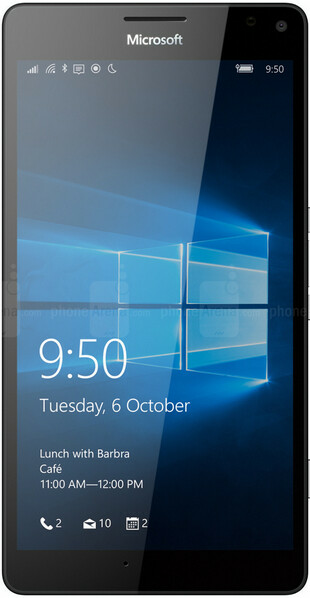 Windows 10 Mobile phones will still receive monthly security updates from Microsoft, but nothing else is expected to be pushed out. Microsoft has already said that it won't be adding new features to Windows 10 Mobile which means that there will be no reason to send out any updates (again, other than security updates) to either the Fast or Slow ring. If you collect trivia, you might want to know that Windows 10 Mobile ends at Redstone 2 with the feature2 branch. Keep that in mind, and perhaps you might win some money playing HQ. For now, updates to Universal Windows apps will still revise the same apps on a Windows 10 Mobile handset. However, there will be a time when Microsoft drops the platform completely, and you might want to get prepared mentally for that eventuality. Will Microsoft get back into the mobile phone game? With Microsoft applying for patents on a foldable device running a variation of Windows, there has been speculation that this is the mythical Surface Phone that will allow Microsoft to challenge iOS and Android manufacturers. Former Microsoft CEO Steve Ballmer finally admitted back in 2016 that his initial reaction toward the Apple iPhone was completely wrong. Ballmer laughed at the iPhone when it was first unveiled by Steve Jobs ten years ago this month, noting that it had no physical keyboard and was expensive. He also talked up the Windows Mobile phones from manufacturers like Motorola that were available at the time. We all know who got the last laugh. Balmer got the last laugh. He's still alive and owns The Clippers. They're putting the real Windows on ARM instead. Not mobile though. Tablets and budget laptops/PC's. The next step will be Polaris, where we will really have a Windows for multiple screens, not multiple editions of Windows on a shared platform. Maybe the new edition of Windows for mobile devices will emerge from there. It's another sad nail in the coffin of a once promising platform. Microsoft has nobody to blame but themselves for this failure. This is news? Microsoft put mobile out to pasture a month ago so I'm not sure what new features people would be expecting to see. I'll give them this much, they were one of the very first to push fixes for Meltdown and Spectre so I guess security patches are more important. Remember when they had a funeral for the iPhone? Yeah, it’s worth bringing that up every time Microsoft spectacularly fails. Its only karma. MS killed Maemo/MeeGo and now WP/WM is dead. Regrettably MeeGo has been discontinued and has become two distinct projects: Jolla's Sailfish OS, and Samsung's Tizen OS.